This actually does not mean pulling a Mr. Universe and hauling it over from end to end. Instead, it means buying a house just to sell it quickly to another person. If this sounds complicated, it’s basically the same as purchasing a house yourself. You’re just becoming a broker instead of the homeowner during the deal. The difference between the purchase price and the price you brokered is your profit from flipping the home. Negotiating skills will be very important during this procedure. When you offer a price, you need to make money but still offer a good value to the current homeowner. If you offer a low ball offer, the seller will immediately reject it. However, if you take their expenses into consideration and offer them a fair price, you’ll have a much more successful venture. The contract needs to be written correctly so there are no future obstructions to the flip. Once you take control of the house, you should have complete control to sign it over legally. If this is not included, they may decide who and when you can sell it to before a certain time period goes by. If you need assistance with this portion, have a real estate lawyer review the contract and verify its verbiage. 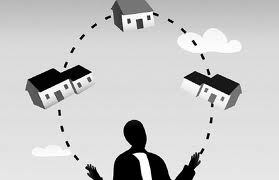 When you match up the right buyer with the right seller, this can become a very lucrative position to be in. This is where it’s very important to pay attention to both parties and listen to their needs. Ask them questions about the house they want to invest and/or live in, and then find a seller offering a perfect match. This is how you begin a real estate flipping career. With each deal you complete, you’ll become more experienced and make more profit. « Which Security Systems are the Best?